Nigerian Magazine: "Time has come for Wenger to go"
"Time has come for Wenger to go"
Former Arsenal midfielder, Gilberto Silva, has said that “the time has come” for Arsene Wenger to step down as manager of the club. Silva spent six years under Wenger and the Brazilian was part of the ‘Invincibles’ squad, that went through the 2003/2004 season unbeaten. 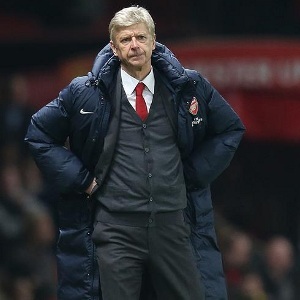 He says Wenger cannot keep up with younger coaches in the game, who are brimming with new ideas and tactics. “I feel that the time has come,” Gilberto told Sport360. “The more the past is coming to a close, the more his time is coming — not because he can’t do the job any longer, but, perhaps because the other clubs have changed their way of working, the way of doings things. Wenger’s current deal runs out at the end of this season.